The Winter Park Land Trust inaugural kickoff event at the Farmer’s Market on Thursday, Feb. 28 at 6:00 pm promises to be one great big party. There will be music, refreshments and something for everyone. Everyone is welcome – so come on out! Learn how land trusts work around the United States and hear about the Winter Park Land Trust’s vision to help plan, expand and protect urban parks and green space throughout Winter Park and surrounding communities. Featured speakers from the City of Winter Park, the City of Orlando, the Alliance of Florida Land Trusts, the Nature Conservancy and, of course, the Winter Park Land Trust, will be joined by 15 groups at information tables, where representatives will be on hand to discuss their visions for urban parks and greenspace in Winter Park. Please forward this announcement to everyone you know who has an interest the future of parks and green space in Winter Park. Winter Park is becoming an island in a sea of urban sprawl. I was reminded of this a couple of days after the recent forum on the future of Winter Park at Rollins College, when I drove to St Petersburg for a meeting. There was a lot of traffic both going and returning, but It was not just the time lost sitting bumper to bumper that made the day tiring–it was also the scale and pace of the I-4 corridor which is quickly becoming one almost-continuous 100-mile wide urbanized area. The day’s drive and my relief in arriving back in Winter Park, and taking a walk with the evening clouds reflected in Lake Virginia, made me think more about the Rollins forum. What is it about Winter Park that still makes it such a good place to live? From my perspective five positive attributes of our city were highlighted at the forum by the presentations of the panelists and the question and answer session that followed. Winter Park was originally planned and continues to retain a comfortable human scale, in contrast to the increasingly large and impersonal scale of the surrounding metro area — think ten lanes of rushing traffic on the soon-to-be-completed widening of I-4. Greenspace, lakes and trees bring people into contact with nature in every part of our city. The tree canopy reduces air pollution and traffic noise. Views of the lakes are everywhere, and our parks are heavily used. It is possible and enjoyable to walk or bike in Winter Park, particularly to and around the downtown area. Where heavily trafficked roads decrease walkability, like the 17-92 and Fairbanks/Aloma corridors, the quality of the Winter Park experience is diminished. Unlike so much of Florida today, Winter Park is not generic. It has a coherent history that is reflected in its architecture and, particularly, in Rollins College and its downtown. It conveys a sense of place — not just anyplace. Winter Park thankfully retains racial and ethnic diversity, which enriches the life and culture of the city. It is still a community with events that bring people together in shared experiences. As is the case in other places around the country that have managed to retain a distinctive grace and character, people want to move here. Winter Park is at a crossroads. The pressure for more development and redevelopment is not necessarily negative unless that growth undermines those attributes that make the community a good and unique place to live and work. Winter Park can accommodate growth and change while planning on a community-wide basis to retain the assets that make it unique. This means adding and connecting greenspace as the city grows, ensuring that new development is consistent with the scale and character of the city, resisting and, where possible, mitigating the impacts of heavily trafficked transportation corridors on our quality of life. It means creating new opportunities for alternatives to automobiles, consciously acting to retain the diversity of the community, and reinforcing the vitality of our downtown. The experience of similar communities is that planning for public and private investment that further enhances the city’s character will not diminish the city’s economy, but will make it that much more attractive for quality development. Perhaps more importantly, respecting the unique assets identified by the Rollins College panel will help ensure that Winter Park will still feel like home to the generations of residents who follow us. Change is inevitable. The only thing we can control is the rate of change, and the important thing is how we manage that change rate. The Ravaudage development is set to bring major change to Lee Road at 17-92. How well is the City equipped to manage the change and the rate at which that change happens in this sector of Winter Park? Especially relevant: are the roads equipped to handle the increased traffic this development will generate? 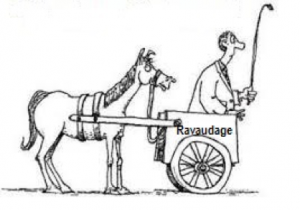 Monday, the Winter Park City Commission will address another round of variance requests, building plans and setback deviations submitted by Dan Bellows, the developer of the ever-expanding Ravaudage juggernaut. The Development Review Committee (DRC), consisting of highly-skilled staffers from City departments involved in the review and approval of site or building development projects, met last week to discuss these requests. With some conditions, all the requests were approved and will go to the Commission on Monday. One request is for a zero-foot setback for a 6- to 8-story office building just west of Peacock Ford. This large office building, which will become the view from the single-family lakefront homes across the street in Maitland, is but a single element in a development that will include two major hotels, the rack-‘em-and-stack-‘em apartment buildings currently under construction, a retirement home and a host of other smaller out-buildings that will house restaurants, shops and smaller offices. What’s the Plan to Handle the Increased Traffic? Solutions to handle the sharp increase in traffic this out-of-scale development will generate are still on the drawing board. The Planned Development (PD) agreement with Orange County, negotiated prior to this PD’s re-annexation into Winter Park, includes alignment of Bennett Avenue and Executive Drive with an FDOT-approved traffic light on Lee Road. Send the Traffic Through K-Mart Plaza? The developer asked the DRC to waive the requirement for the alignment, because it would cause him to lose approximately half an acre at that intersection that he could otherwise develop. Bellows floated the idea of positioning the traffic light to move traffic through the former K-Mart plaza. 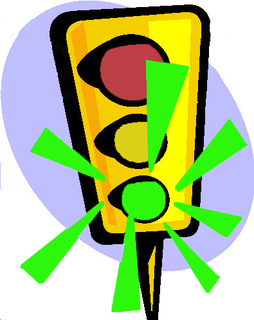 Due to the complexity of adding a traffic light on a State road, the requirement to align Bennet and Executive was postponed for an additional year for further study. It could be years before traffic at this critical intersection will receive the direction it needs. A design modification to 17-92 to resolve the bike and pedestrian connectivity in the area is in the works, but that design is at the 60 percent level and rests entirely in FDOT hands. The modifications do not increase the number of motorized vehicle travel lanes. The construction completion date is uncertain, but years off. Other conditions required of the Ravaudage PD were a Lynx terminal and a firehouse. Those two seem easier, but neither appears in the current plans. Meanwhile, Back at Orange Avenue . . .
At the same time, City officials are pushing for high-intensity redevelopment along Orange Avenue, complete with an additional Sunrail station. A new station is a good idea if funding is available, but shouldn’t we consider a rail station at Ravaudage first? How Will Traffic Increase Benefit Winter Park? Just because the traffic statistics floated by City officials show our traffic numbers haven’t increased in 18 years, should we buy into the notion that a significant increase in traffic will be a boon for Winter Park? Add to the rapid infill of giant apartment complexes in Maitland the proposal for 562 residential units, 320 hotel rooms and 1,254,357 square feet of commercial and office space at Ravaudage. Then ask yourself: how will the imminent explosion of traffic benefit residents or legacy businesses? A change is in order, but the rate of change is out of control. Mr. Bellows was granted his entitlements from Orange County. Is it Winter Park’s responsibility or in Winter Park’s best interest to dole out more before the traffic infrastructure is in place? Winter Park needs to put the transportation horse out in front of the Ravaudage cart. Todd Weaver is a semi-retired aerospace engineer, engineering consultant and company president who has lived in his Winter Park home for 22 years. City commissioners charged ahead this week with final approval of the site plan for their new library and civic center, despite an advisory board’s concerns. Earlier this month, the city’s planning and zoning board opted for only preliminary approval of the project because unanswered questions remained, especially about stormwater drainage. The 4-1 vote on Monday to approve the site plan included Commissioner Greg Seidel, a civil engineer, in the majority. He said he reviewed the stormwater plan and “didn’t see any deal breakers.” Commissioner Carolyn Cooper, who raised questions about the cost of dealing with some of the project’s risks, voted against the site plan. Commissioners did endorse one recommendation from their advisory board: They agreed to consider tearing down the Lake Island Hall recreation building to add 36 more parking places to the site plan. Seidel’s support came with two suggestions that were not acted upon. First, he wanted the city to pre-treat the stormwater before it pours into the lake. At the very least, he said, the city should remove trash from the drainage. “It’s not that expensive.” Mayor Steve Leary declined to endorse the idea but didn’t rule it out. “I’d want to know how much that would cost,” Leary said. Second, Seidel proposed putting a parking garage at the southwest corner of the site where a parking lot is planned, using non-library funds to build it. He noted that a garage there wouldn’t interfere with the look of the two new buildings and could serve area businesses and park users as well. More importantly, he said, it would make sense to build the garage with CRA funds intended for the redevelopment of the central business district. Commissioners were not enthused. “The parking issue won’t be resolved until we have experience with the facilities,” Commissioner Pete Weldon said. Commissioners felt comfortable ignoring their advisory board after city Planning Manager Jeff Briggs said that board was “not as familiar” with the site-plan issues as city commissioners were. 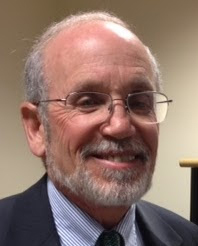 “There doesn’t appear to be a lot of logic bringing it back” to the board after the Saint Johns River Water Management District reviews it, Briggs said. The district in the next few weeks will decide whether to permit the city’s proposal to channel stormwater overflow from Lake Mendsen into Lake Rose, the site of the city’s huge 1981 sinkhole. The total cost of many elements of the site plan remain unknown. That’s not unusual for developers, but the city lacks deep pockets for the project. Unknowns include, for example: the cost of tearing down the recreation building; the cost of trying to save even a few of the 63 protected trees targeted for removal; the cost of stormwater pretreatment; and the cost of removing more muck if necessary. The placement of the library and civic center had to be shifted after soil borings disclosed deep levels of muck on the site. Is Stormwater the Canary in the Coal Mine? If ever a project needed to hit the “pause button” this one is it—staring us right in the face. The stormwater component, as outlined in this piece, is the red flag alert. The designated stormwater basin (of which Lake Mendsen is the receiving end) is already at capacity (Saint Johns River Water Management District). It already serves the Paseo, Winter Park Village, runoff from US 17-92 and 74 more acres. We all know the site at Morse and Denning/Harper floods–badly. Yes, we will experience future rain/storm events. Count on it. Also of note, current conditions offer an irony: Lake Killarney sits higher than Mendsen. That’s a problem. What’s more, Lake Rose, which sits at the other end of MLK Jr Park, is being proposed as the overflow-reliever. Lake Rose is a sinkhole. Lake Rose is not wholly owned by the city. In order for the city to solve the stormwater conundrum, it will need to purchase property it currently does not control. Citizens will lose yet more park greenspace if either lake needs to be enlarged. Is that fair? We are already looking at over 8% of the original park footprint being diverted to development. And now we are increasing that number? Yes! 1. Save the trees on the northwest corner of the library property: Right now, up to 63 trees are slated to be lost. After all, this was a park first. Is the rebranding of the project to “Canopy” an outright taunt? 2. Reclaim the lost square footage chopped out of the library project. The proposal adds only 600 square feet over our current library, with no café, no bookstore. That’s not what the citizens’ were promised—we were promised 50,000 square feet. Get it back. Function over form. Why are we short-changing future generations? Winter Park will continue to grow. Plan for it! We are paying architects $2 million to solve that problem. Have they? 3. Work harder to integrate the structures with the Park experience. Current designs operate as if on two parallel universes. The buildings ignore the park. How can that be? The park is an outright gift—embrace it. 4. Parking: we were promised a garage. Where is it? Priority: Convenience (and safety) for our seniors. 5. Green building standards: where is the solar component? This is Florida! In the NW corner of MLK Jr Park: fair is fair. There is growing support state-wide and throughout our local communities for the adoption of a formal land ethic. Each of us has become witness to challenges never before seen in the Sunshine State. Our beaches and shores are blighted with sea-rise and algae bloom. Climate change spin-offs have brought us increasingly violent storms like Irma. The storms, combined with pollution and over-building, are shortening the life cycle of our tree canopy, which is the critical factor in cleaning the air and protecting us from the sun. City and county park lands are vying for survival with the exponential growth now occurring in Central Florida. Cities and counties do their best to balance competing demands for passive vs active use of park lands. Central Florida continues to head the list of the most dangerous communities for pedestrian and bicycle safety. Here in Winter Park, greenspace connectivity is increasingly cited as the single most important step to renewing our pledge to sustain the character of our community. While open green lands cannot be measured solely in economic terms, parks and green space are invaluable assets as a marketing tool for our city. Proximity to parks has been proven to increase property values. What’s more, protected park lands do not require costly, full-blown municipal services such as water, sewer and schools. This conversation has been gaining momentum since 2014, when Amendment 1 — known as the Florida Water and land Conservation Initiative — to increase spending for natural lands acquisition programs like Florida Forever passed with an overwhelming majority. Locally, this vision for an integrated plan for greenspace connectivity within our urban core resonates with citizens of all walks of life. It embraces our often-discussed concerns for a healthy tree canopy, a vibrant, connected system of parks and greenspace, an appreciation for scenic beauty, designated quiet zones, family enjoyment, outdoor recreation, community enrichment and sustainable local native habitats. I would urge our city and community leaders to take this trend a step further. The time has come to clearly define and articulate a Land Ethic for all of Winter Park. It will serve as our guide for future decisions as well as the definition of our responsibility for this generation and the next. It’s time to stop talking and pledge to take action. On August 29, Rollins College announced the cancellation of public hearings in September and October on the expansion of the Alfond Inn and the proposed construction on the Lawrence Center site at 200 E. New England Ave. 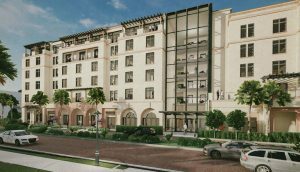 The Alfond Inn expansion has been long in the works as Phase II of the original plan. It includes the addition of 70 hotel rooms, bringing the total to 182, and the addition of a spa and health club, 4,000 square feet of meeting space and just over 300 square feet of retail space. The expansion also called for an additional 153 parking spaces. Redevelopment of the Lawrence Center site, at New England and Lyman, was a three-phase project consisting of a new parking structure, a new facility for the Crummer Graduate School of Business and new space for the Cornell Fine Arts Museum. In order to complete all three phases, the college was requesting a zoning change from Office (O-1) to Institutional (PQP or Public-Quasi-Public). 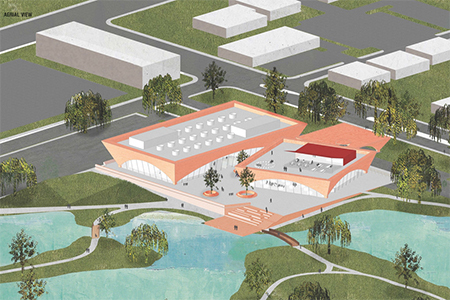 As part of Phase I of the project, Rollins was seeking a Conditional Use Permit to build a three-level parking garage to serve the business school and museum properties. The City of Winter Park was contemplating a public-private partnership to expand the garage to four or five stories. This would provide an additional 120-180 public parking spaces in the Central Business District (CBD) and would require a change in the height map from three to four or five stories.